The item The Rifle Rangers, (ebook) represents a specific, individual, material embodiment of a distinct intellectual or artistic creation found in Charlotte Mecklenburg Library. 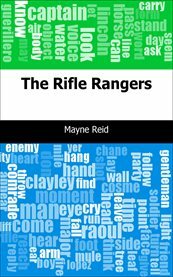 "The Rifle Rangers" by Mayne Reid is an action-packed novel that takes place during the Mexican War. This classic story is for all ages!